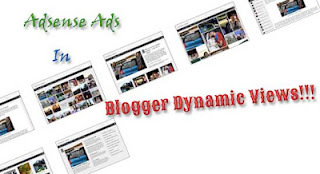 Blogger’s Dynamic Views template has received mixed reactions since it was finally introduced, while some users love using the new design layouts, some didn’t quite enjoy the fact that you can’t use your current gadgets with it and even add new ones – and that includes the use of Adsense ads. Well, not anymore. 1: In your Blogger dashboard, head over to the “Earnings” section. 2: Here you can apply for a new Adsense account or create a link to your existing Adsense account. 3: Show ads on blog – choosing this will display the ads on the sidebar, above/below the posts, or on both. 4: Show ads on feeds – this will show the ads via feed, which will also have its own set of options like positioning (top, bottom), ad type, etc. And that’s all there is to it! Check and review your site and you should now see your Adsense ads using Blogger’s Dynamic Views.